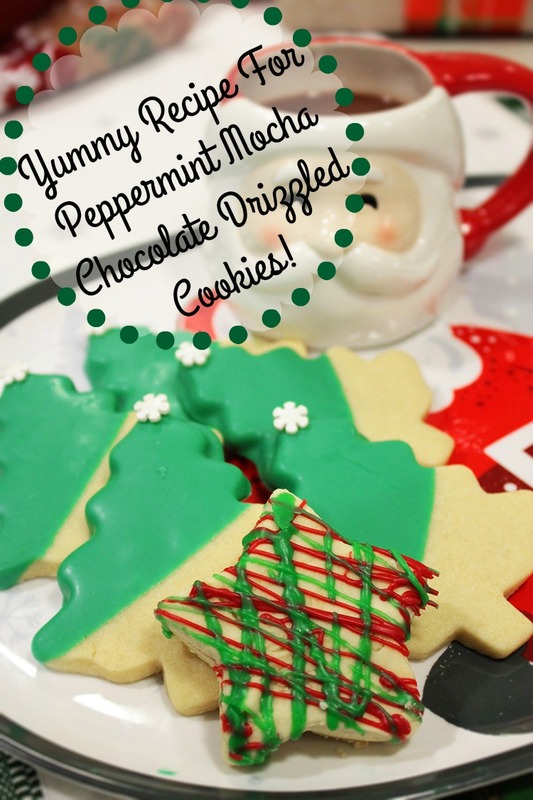 Chocolate Peppermint Mocha Drizzled Shortbread Cookies! Lovelies, Are you getting excited for the holiday season this year? We know definitely are! We can’t believe Christmas is next week! Today we have been busy in the kitchen baking up a super fun recipe for you to try this year! One of our favorite holiday traditions is making cookies and we have a very merry recipe for Chocolate Peppermint Mocha drizzled shortbread cookies today. 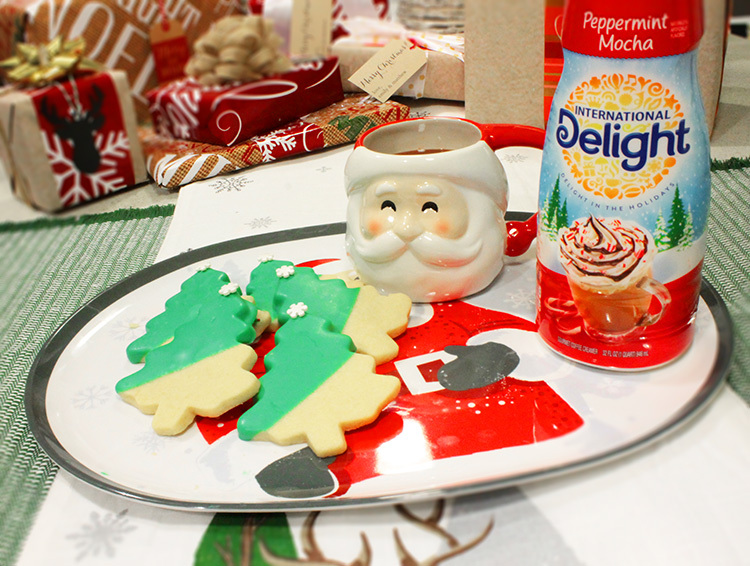 Not only is this recipe easy and quick, it has a little twist with it by adding in International Delight Peppermint Mocha creamer, a flavor we totally love for the holidays! 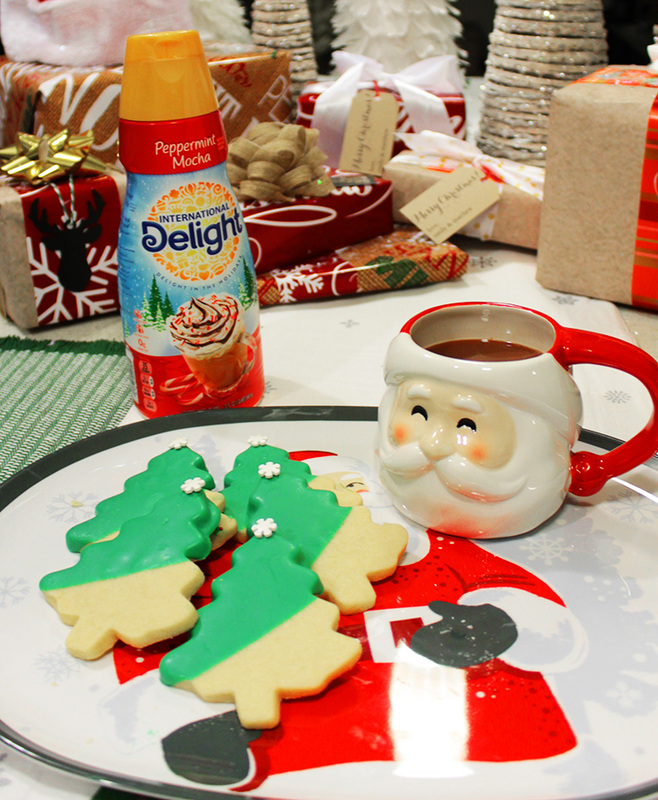 Check out this super quick, yet totally delightful International Delight recipe for Christmas! 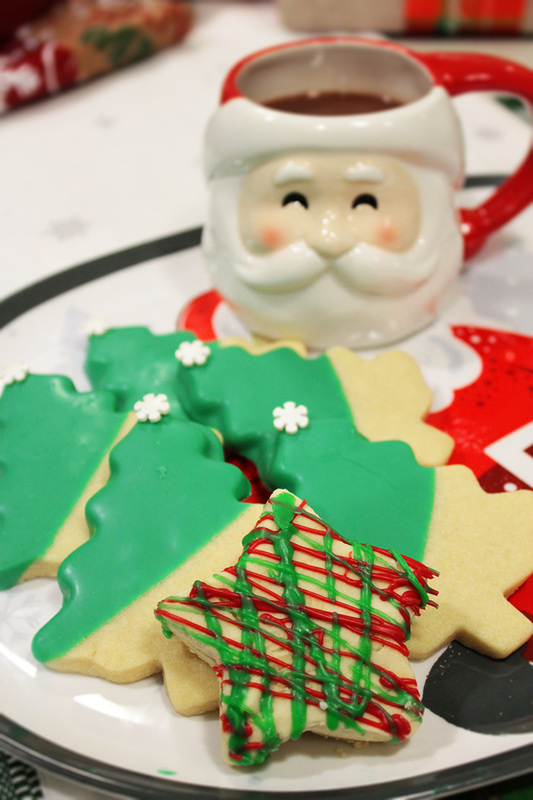 This Christmas cookie has the most amazing holiday flavors all in one bite. 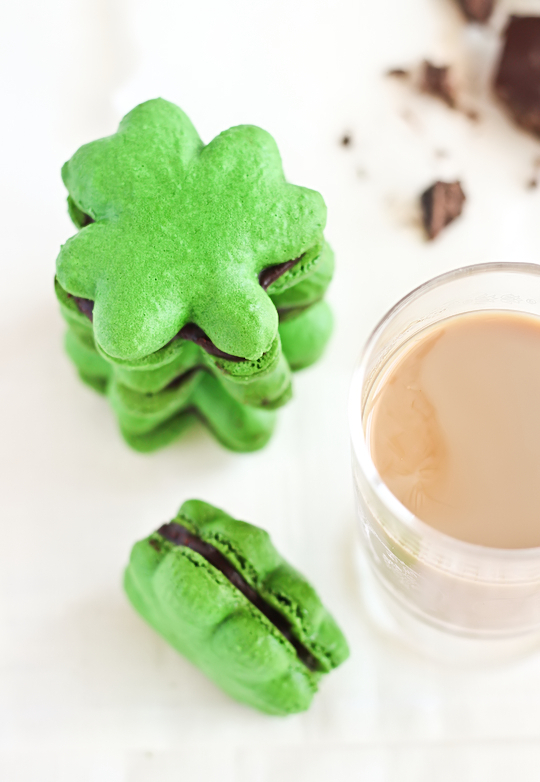 Plus it goes great with coffee or hot coco with a splash of International Delight peppermint mocha creamer to really tie in the flavors and be in peppermint mocha heaven! Yum! Cut shapes with cookie cutter- kneading dough back together and rolling out between shapes. Yield: 3 cups of chocolate drizzle to use how you’d like! MICROWAVE Red chocolate wafers and 1 tablespoon of vegetable shortening in small, dry, uncovered, microwave-safe bowl on HIGH (100%) power for 1 minute; STIR. The morsels may retain some of their original shape. If necessary, microwave at additional 10- to 15-second intervals, stirring just until morsels are melted with spatula. Add International Delight to chocolate mixture and let stand for 2 minutes without stirring. Stir until smooth. Repeat for green and white colored chocolate wafers. OR dip shortbread cookies in the red, green of white chocolate mixture and place on parchment paper to dry. Look how cute the drizzled ones turned out. You can even do a plaid design on your cookies for a really trendy look this year! 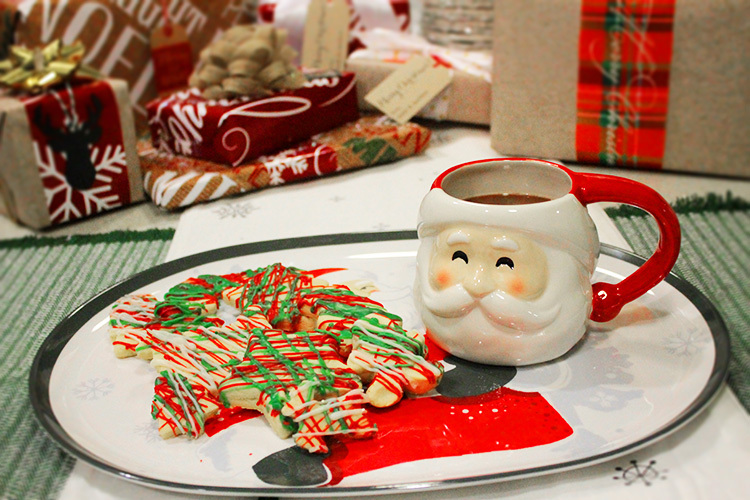 We love the look of the chocolate dipped cookies too. Add in fun sprinkles like these snowflake tree toppers to really bring in the festive look. 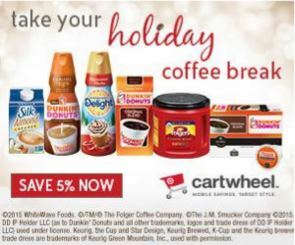 You can get International Delight’s Peppermint Mocha Creamer 5% off from 12/1/15 – 12/24/2015 with the Target Cartwheel App, not to mention Silk And Dunkin’ Donuts too! If you haven’t downloaded it yet, you should! We use it every time we shop at Target and always save at checkout. This year we have already saved over $50 using it. It is amazing and always has a deal on something every week. Check out more about Cartwheel and download it here. 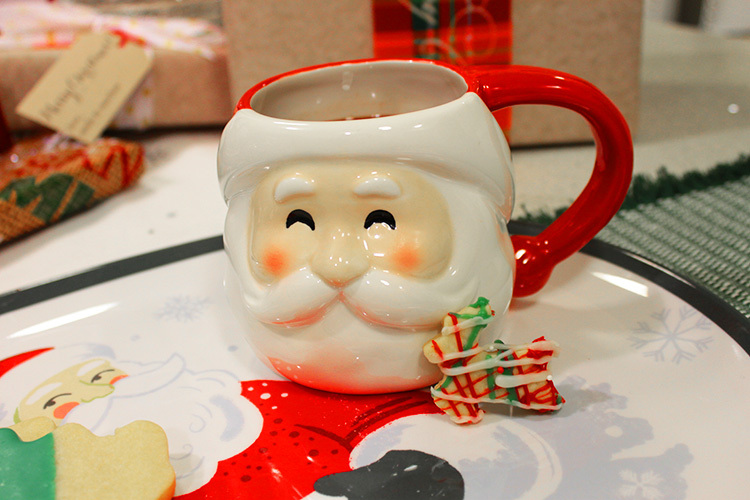 Love the cute Santa mug and plate we used? Those are from Target too! Be sure to stop in today to get yours for an adorable look this year! Thank you for supporting the sponsors that enable us to keep the lovely ideas and inspirations coming to you!